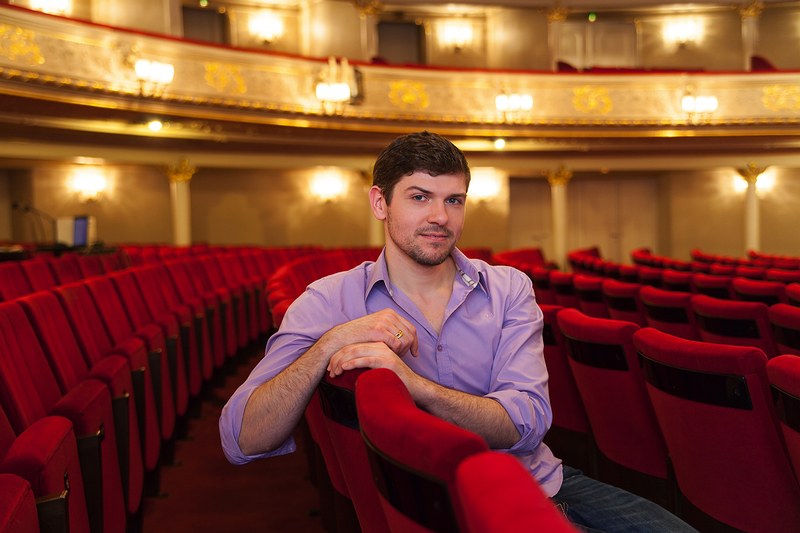 Dominik Köninger is a member of the Komische Oper Berlin ensemble, where current performances include ORFEO Monteverdi’s L’Orfeo, PAPAGENO Die Zauberflöte, DER PRINZ VON MANTUA Offenbach’s Fantasio, GUGLIELMO Così fan tutte, COUNT ALMAVIVA Le nozze di Figaro, PANTALONE The Love for Three Oranges, AGAMEMNON La belle Helene and Giulio Cesare in Egitto (title role). Other current performances include And you must suffer B’Rock Baroque Orchestra Gent directed by Pierre Audi, PAPAGENO Edinburgh International Festival and Gran Teatre del Liceu. Recently he also performed Carmina Burana Orchestre Philharmonique de Monte Carlo and Bach’s Weihnachts-Oratorium Belgian Baroque Orchestra at the Concertgebouw, Basilica di San Marco in Milan, Basilica di San Pietro in Perugia, Bozar in Brussels and deSingel in Antwerp. As a guest he sang PAPAGENO Die Zauberflöte Staatsoper Hamburg, FALKE Die Fledermaus Staatstheater Stuttgart, DANDINI La Cenerentola and FALKE Volksoper Wien and Peer Gynt Hamburger Symphoniker. Together with the pianist Volker Krafft he was the winner of the 2011 Wigmore Hall International Song Competition. Dominik was born in Heidelberg and studied singing at Opernschule Karlsruhe with Prof. Roland Hermann. In 2004 he made his debut with Ludwigsburger Schloßfestspielen. His first guest engagements were TEODORO in the German premiere of Paisiello/Henze‘s Il Re Teodoro in Venezia Schwetzinger Festspiele and MORALES Carmen and GUGLIELMO Così fan tutte Badisches Staatstheater Karlsruhe. During the 2006/07 season Domink was a member of the ensemble of Tiroler Landestheater Innsbruck, where he sang roles such as OTTOKAR Der Freischütz, FALKE and GUGLIELMO. From 2007 to 2009 he was a member of the International Opera Studio, Staatsoper Hamburg. 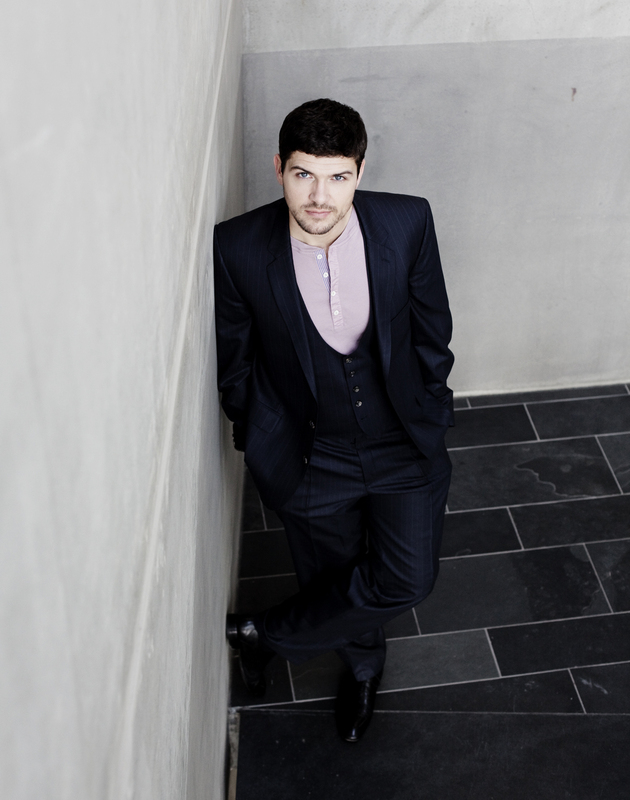 In 2010 he made his debut as MERCURIO L‘Incoronazione di Poppea Theater an der Wien, where he also sang KILIAN Der Freischütz. Dominik Köninger worked with Kent Nagano, Robert Carsen, Bertrand de Billy, Herbert Blomstedt, Morten Schuldt-Jensen, Rolf Beck, Peer Boysen and Brigitte Fassbaender. On the concert platform he appeared in Festspielhaus Baden-Baden, Stuttgarter Liederhalle, Philharmonie Berlin, Laeiszhalle Hamburg, Rudolfinum Prag, Schleswig-Holstein Musik Festivals and Litauische Nationaloper Vilnius. "Dominik Köninger an engagingly wistful Papageno."